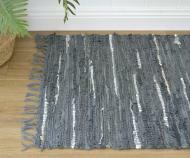 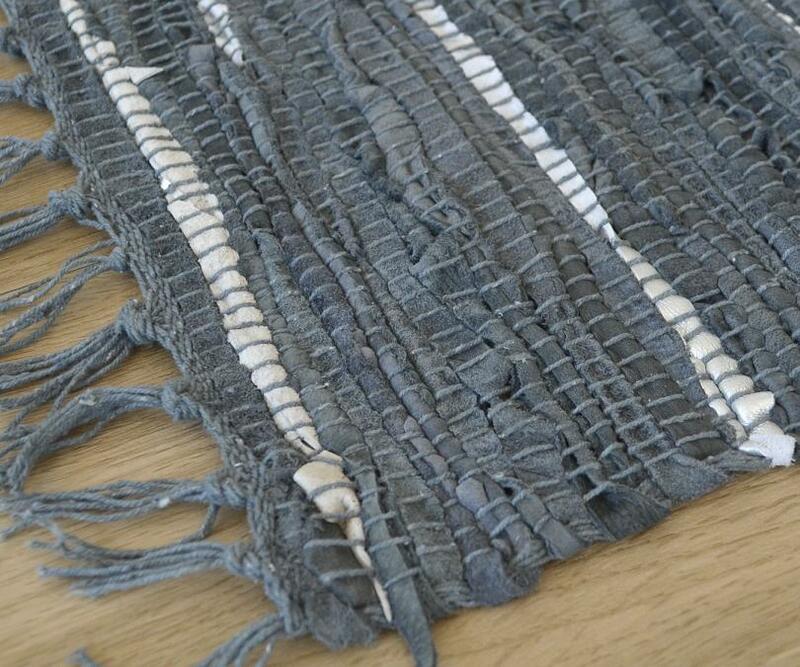 This beautiful handwoven indoor mat is a feast for the eyes. 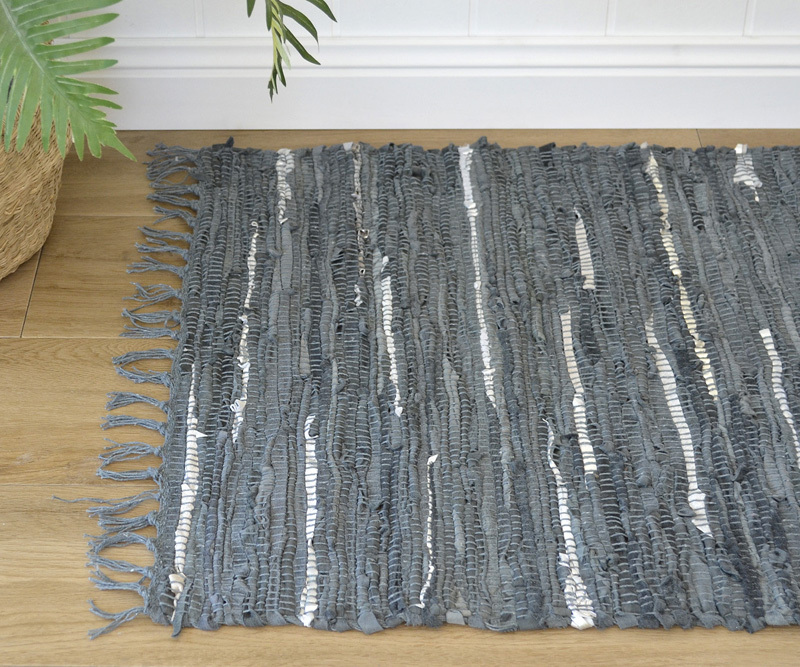 Made from strips of leather in a deep denim indigo blue, it contains feature strips of silver leather for a touch of glamour. Measures approx 90cm by 60cm and has a fringe detail at each end.